Nowadays spyware and malware come in different forms, and it is extremely difficult for an average user to distinguish legitimate software and malware or spyware. The spyware is the malicious software or program that transmits your personal information to a hacker without your knowledge. The spyware is becoming one of the most dangerous problems that computer users face today. Are you confused how you got the malware or spyware into your PC? When you download an mp3, video file or any other software from suspicious sites, the spyware or malware gets downloaded into your PC without your knowledge. Similarly, malware or spyware programs can get into your PC if you click on the links from suspicious emails sent from unknown email addresses. Hackers or cybercriminals are using advanced tools to design and spread malware. So, it is critical for users to protect their PCs. The easiest way to do that is to install a free spyware and malware removal tool. There are many spyware and malware removal programs available online, make sure to install the best free spyware and malware removal software that completely removes the malware or spyware from your PC. Whether you use the internet for business purpose or personal use, the spyware or malware can affect both. The spyware steals your personal information and gives it to the third party (hacker) who in turn can send you thousands of spam emails or use your personal information for nefarious activities like identity theft. If your PC gets infected with a malware, it can slow down the performance of your computer and also damages your system. Both the spyware and malware run in the background and seen, and you cannot find it unless you have the best antivirus or virus removal software. Spyware and malware can get into your computer through various ways. If you download music, pictures, and video from shady sites, then your system will get infected with the spyware or malware. Comodo free spyware removal software has the best spyware and malware removal features which thoroughly scans your PC and removes the malware or spyware completely if any. When malware infects your PC they not only slow down the system performance, they can also prevent you from using your PC by bombarding your screen with ads. You may also face problems like endless pop-ups and changes in your browser homepage, browser settings. The spyware can track down the websites you visit. Why Comodo is the Best? Comodo free antivirus provides real-time protection for your computer so that you can feel secure. With Comodo free spyware removal tool, you can get rid of malware and spyware from your PC. Whether your PC is already infected with a malware or spyware or you are going to have an internet connection, it is better to have Comodo antivirus installed on your PC. Comodo Antivirus software is like a policeman at the gate of your computer. Comodo proactively guards your PC against incoming malware or spyware threats and destroys it quickly. It also warns of possible threats to your system. 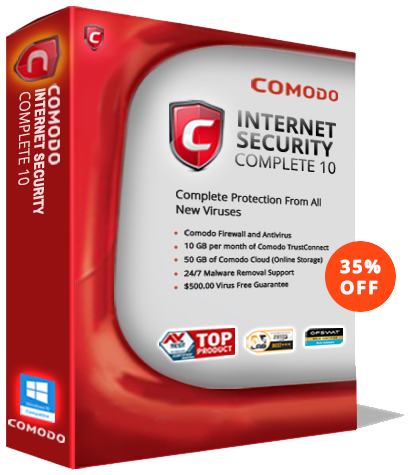 Comodo Antivirus is the best free malware removal and spyware removal software available in the market. Comodo Antivirus takes the lead amongst other malware removal tools or software as it has some of the industry-leading features like the Defense+ technology, containment techniques, sandboxing, etc. Comodo Antivirus outsmarts all other virus removal tools as it quarantines the unknown file and executes them in the isolated or restricted system environment. It is the most intelligent free virus removal software that offers multiple layers of hi-tech protection against known and unknown threats. Download and install Comodo Antivirus today and stay protected against any malware or spyware threats.